Harbour Hotel, The Docks, Galway. Details: 3 Bed End of Terrace House 84.75 sq. mts / 912 sq. 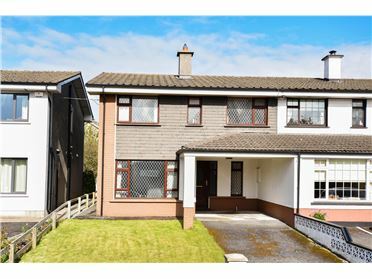 ft For Sale By Auction OPEN VIEWINGS: WEDNESDAYS & SATURDAYS 2.00 - 3.00 Excellent end-of-terrace home with side access to rear garden set in the popular residential neighbourhood of Mervue. In excellent condition and wonderfully cared for by its current owners. Arranged over two floors offering 3 spacious bedrooms a living room a kitchen & utility area benefiting from a beautiful classic range and a fully tiled bathroom. Additionally the attic space is floored offering ample space for extra storage and comes with light fitting and socket point. An abundance of outside space with off-street parking and a quaint green area to the front whilst the large mature and secluded rear garden boasts approx. 15m in depth with western & southern aspects. Within walking distance of local stores and close proximity to Briarhill Shopping Centre. Easy access to Galway City Centre through quality local transport links. Details: 5 Bed End of Terrace House 176.1 sq. mts / 1896 sq. ft For Sale By Auction A UNIQUE CITY CENTRE PROPERTY WITH DEVELOPMENT POTENTIAL Viewings by Appointment with Tony Joyce / Hugh ODonnellan. 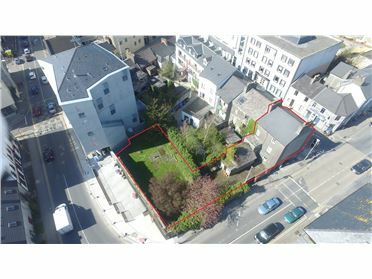 Coming to market via Public Auction 17 New Dock Street offers an excellent opportunity to acquire a substantial sized site with excellent development potential in a high profile location of Galway City. 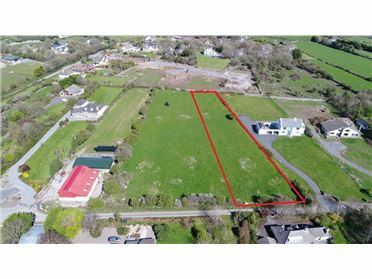 Located by Galway Citys dock area the property comprises of approximately 0.05 hectares (0.124 Acres) with existing listed three-storey townhouse which is currently zoned CC on Galway City Development Plan 2017 - 2023. The beautifully proportioned 1900s townhouse is a protected structure with immense potential for a variety of commercial/residential developments (subject to planning permission). The property has first class frontage onto New Dock Street and Spanish Parade with sizeable rear and side gardens. 17 New Dock Street is a prime development opportunity with existing structure in the heart of Galway City which will be an attractive purchase for a variety of uses. Details: 4 Bed Detached House 179.01 sq. mts / 1927 sq. ft For Sale By Auction OPEN VIEWINGS: WEDNESDAYS & SATURDAYS 3.30 - 4.30. Coming to market via Public Auction 19 Grattan Court is a remarkable home in one of Galways most popular & convenient residential neighborhoods. A large detached house availing of a southerly aspect facing back garden the property offers approximately 179.01 sq.m of generous living space throughout whilst comprising of four spacious bedrooms ample living & family areas quality fitted bathrooms & kitchen and a converted attic space with stairs access. Externally the property avails of ample off-street parking to the front with a cobblelock forecourt side access at either side whilst the back garden is fully landscaped & patioed boasts a southern aspect maximising on as much light as light as possible and has been finely kept by the vendors. Details: 3 Bed Semi-Detached House 74.51 sq. mts / 802 sq. 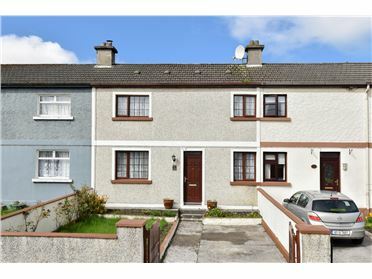 ft For Sale By Auction OPEN VIEWINGS: WEDNESDAYS & SATURDAYS 2.00 - 3.00PM Unique 3 bed semi-detached property located in Shantalla part of renowned old Galway which is now one of the most popular residential neighbourhoods in the city. Located within walking distance of the city centre and a number of notable primary and post primary schools in the area it is within a stones? 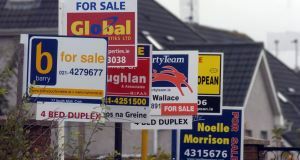 throw of NUIG and UCHG which makes it very attractive for both family living and investment alike. As with most properties of this age it will benefit greatly by some refurbishment and modernisation however it has been well maintained by its present owners over the years and enjoys dual heating with oil fired central heating system and a solid fuel back boiler pvc double glazed windows doors and an attractive feature fireplace in the living room. Details: 4 Bed Detached House 149.74 sq. mts / 1612 sq. ft For Sale By Auction OPEN VIEWINGS WEDNESDAYS & SATURDAYS 5.00 - 6.00 Coming to market via Public Auction 9 Dr Mannix Avenue is a remarkable home with huge potential in one of Galways most sought after residential neighborhoods. A large detached house situated on a corner site the property is arranged over two floors with approximately 149.74 sq.m of generous living space throughout whilst comprising of four bedrooms two bathrooms and spacious living quarters on the ground floor. Externally the property avails of off-street parking to the front. As with properties of its age no.9 Dr Mannix Avenue will benefit from refurbishment & modernisation. 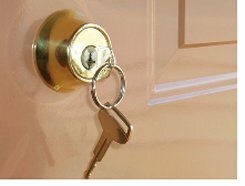 The property offers huge potential for any purchaser to enhance & establish their own quality home. 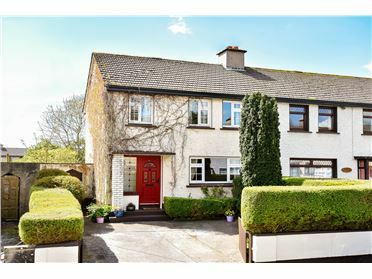 Dr Mannix Avenue is location in Salthill one of Galways most popular residential locations. 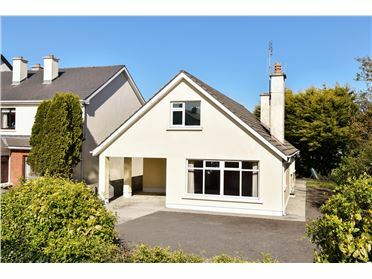 The property is within walking distance to Salthill village promenade & beach whilst within close proximity to a number of quality local primary & secondary schools. Local amenities & services are in abundance with some of Galways finest cafes & restaurants within easy reach as well as recreational facilities such as Blackrock diving tower golf course and tennis club. Details: 3 Bed Terraced House 106.8 sq. mts / 1150 sq. ft For Sale By Auction Coming to market via Public Auction is this excellent mid-terrace home in the sought after residential neighborhood of Claddagh. Arranged over two floors the property offers an abundance of space throughout. Comprised of two rooms to the front upon entrance one with feature fireplace downstairs also offers a large kitchen & dining room with access to the large rear garden with western aspect. Upstairs offers three large bedrooms & a shared bathroom. Externally the property benefits from a gated entrance & off-street parking to the front whilst the back garden offers a large amount of space approximately 9m in depth a built shed & westerly aspect allowing 11 St. Nicholas Road to maximize on as much light as possible. Whilst the property could benefit from modernisations No.11 St. Nicholas Road is presented in good condition & would be an ideal property for any purchaser. 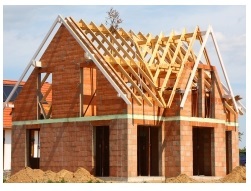 Details: 4 Bed Site 0.7 Acres For Sale By Auction There is full planning permission for a new 4 bedroom detached house with individual vehicular entrance sewage treatment system together with all ancillary site works landscaping and service connections. The completed house will have commanding panoramic views of Galway Bay and surrounding countryside. When standing at the rear wall of the site you can imagine the views that will be enjoyed from the first floor of the house when completed. The location here in Rosshill is second to none. On the cusp of Galway City and being close to GMIT third level college Galway Clinic Merlin Park Hospital Oranmore Village with its shops schools and restaurants is only 10 minutes drive away. The Galway to Dublin motorway (M6) is just 6 minutes? drive away and there is a great bus service on the Old Dublin Road in and out of the city. This lovely country setting will appeal to everyone making this property the perfect location for a fine family home. Details: 6 Bed Apartment 300 sq. mts / 3229 sq. 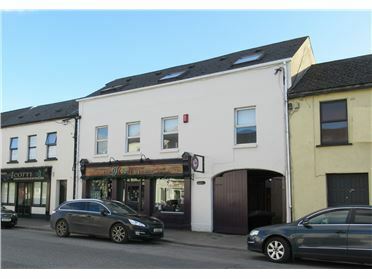 ft For Sale By Auction 1-5 Harbour Court Harbour Street Description VIEWINGS BY APPOINTMENT ONLY Coming to market via Public Auction is this excellent investment opportunity situated on Harbour Street in Tullamore. Harbour Court is comprised of both residential & commercial premises all being sold in one lot. All units are currently rented out. This presents investors with the potential to acquire an investment unit achieving a high yield in the centre of the town. Commercial unit: Current rental income of € 800 pcm. One bed apartment x4: Each achieving € 400 pcm. 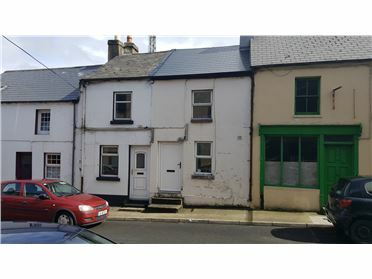 Two bed property x1: Achieving € 500 pcm. Details: 4 Bed Semi-Detached House 116.96 sq. mts / 1259 sq. 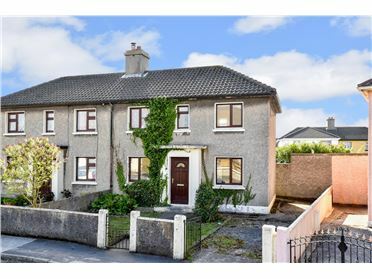 ft For Sale By Auction Coming to market via Public Auction 23 Whitestrand Avenue is an excellent semi-detached home in a popular residential location of Salthill & right at the cusp of Galway City. Arranged over two stories the property offers approximately 116.96 sq.m of living space throughout. Downstairs is comprised of spacious living kitchen & dining areas with access to the large rear garden whilst upstairs offers four spacious bedrooms & a shared bathroom. 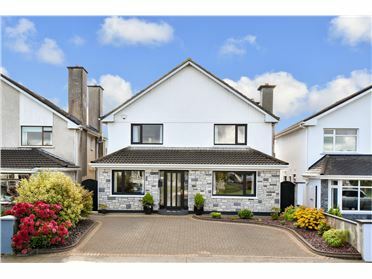 Externally no.23 Whitestrand Avenue benefits from off-street parking to the front & boasts an exceptional rear garden with side access & over 20m in depth.